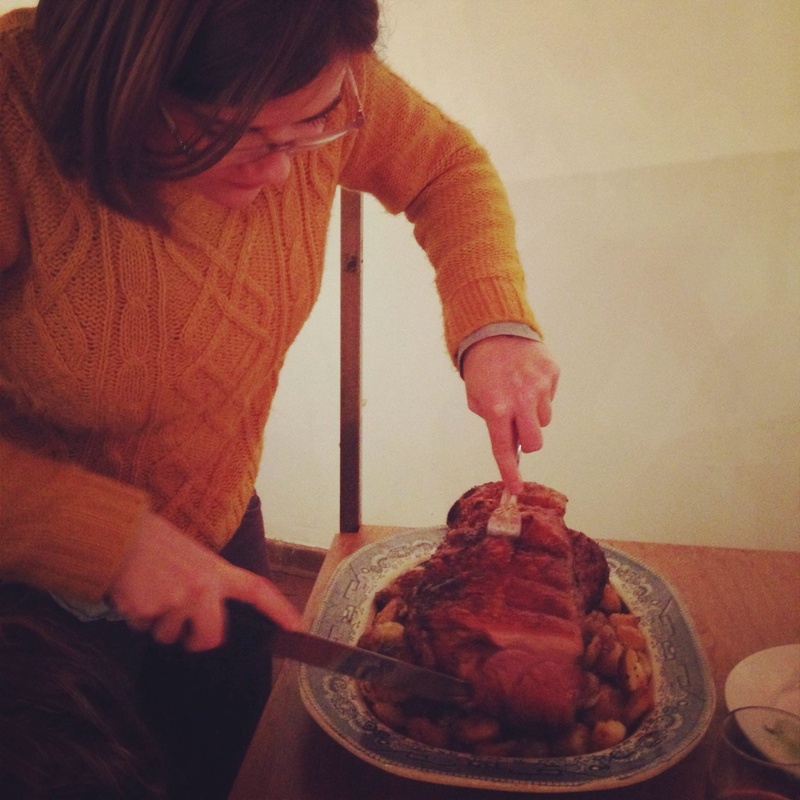 Last Friday, I ate like a king…or queen…or some sort of royalty. The type of royalty who eats in an old pickle factory with mis-matched crockery, vinyl tent coverings over the tables, and complimentary blankets as the only form of heating. So basically, hipster royalty. 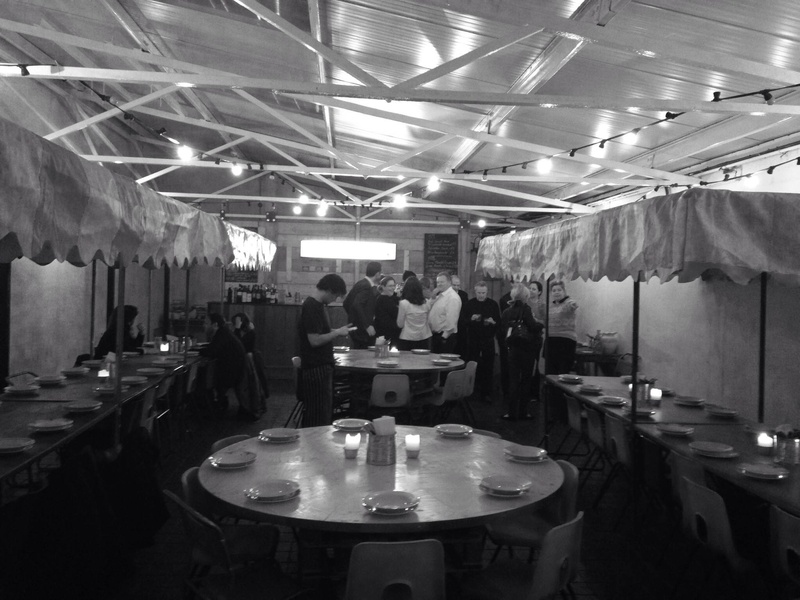 Hipster atmosphere; fun company; AMAZING food. 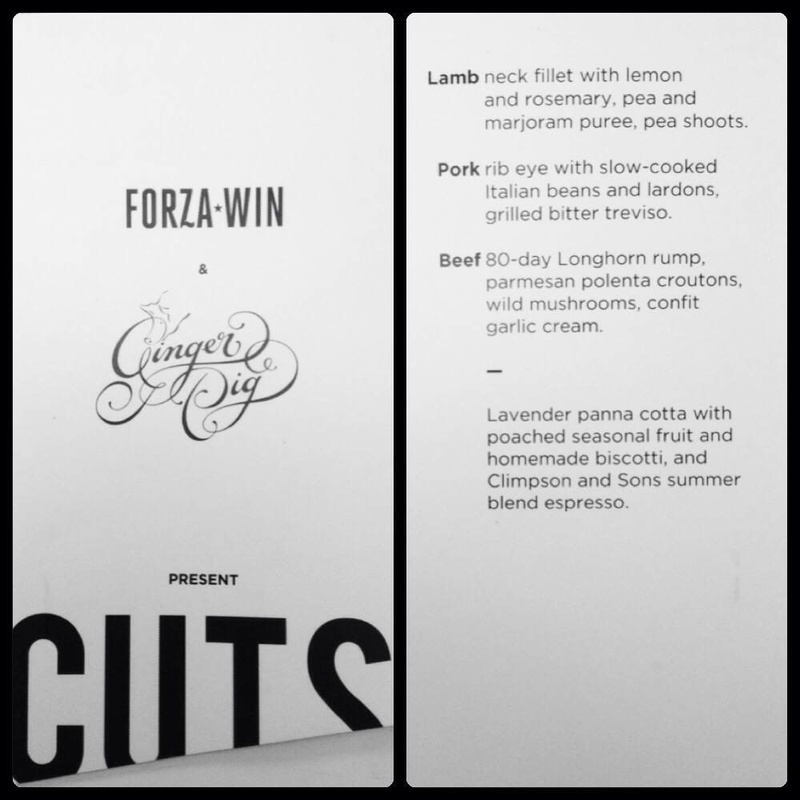 I was at Forza Win(ter), a communal dining experience run by Forza Win – get it? Forza Winter? Whatever. Anyways, Forza Win puts on communal dining experiences using seasonal ingredients. The food is always of the Italian bent, and it is delicious! 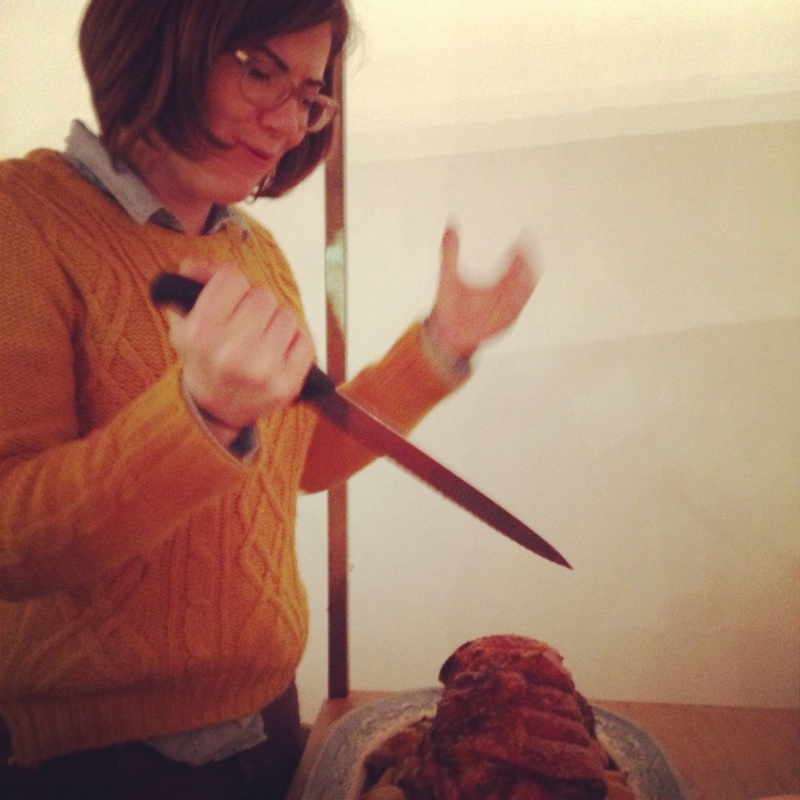 I had the pleasure of going to their summer meal in August, called CUTS – as in cuts of meat. It absolutely blew. my. mind. It was three different courses of meat – lamb, pork and beef – plus the most incredible panzanella ever known to man and some yummy panna cotta to finish it all off. Seriously delicious, folks. I left that meal more full that I have ever been and with a serious case of the meat sweats. But before we got to the meat, we had a tasty minestrone soup (featuring ham) and some bread and butter. The butter had been made fresh that day. When we walked in, this table was just by the entrance. 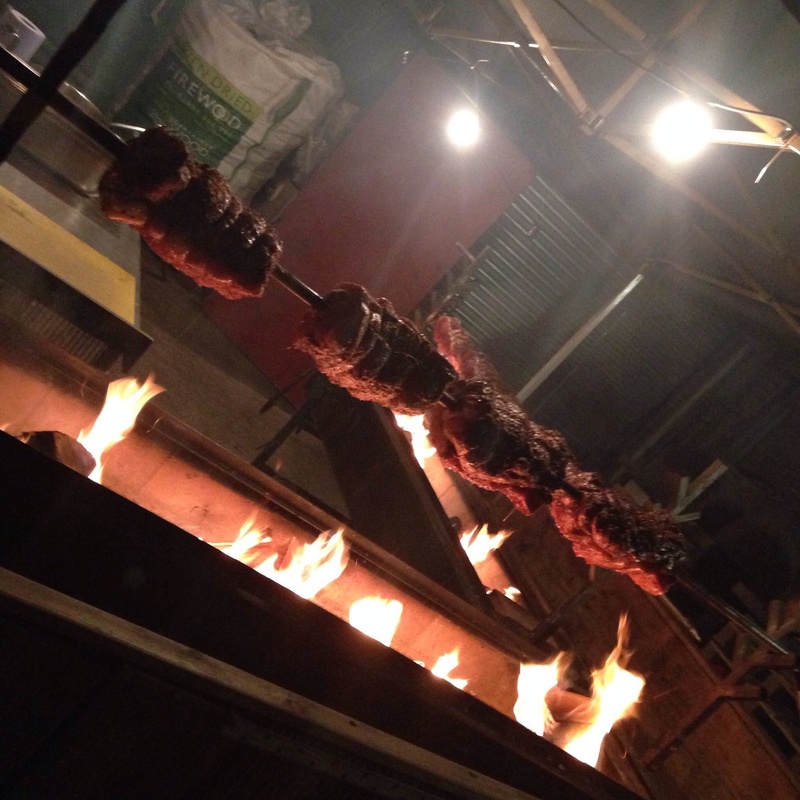 Basically, even if the rest of the food had been a disappointment, I would still have had a great evening. I love me some butter. I’d say it’s my favorite food, if that weren’t weird/kind of gross. 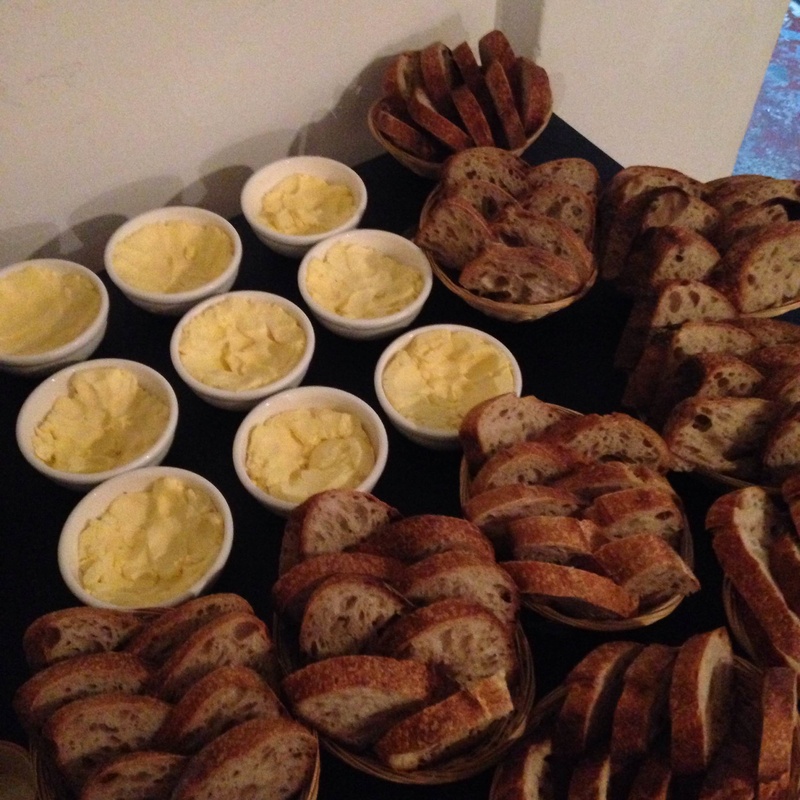 And this butter had been made fresh that afternoon!! 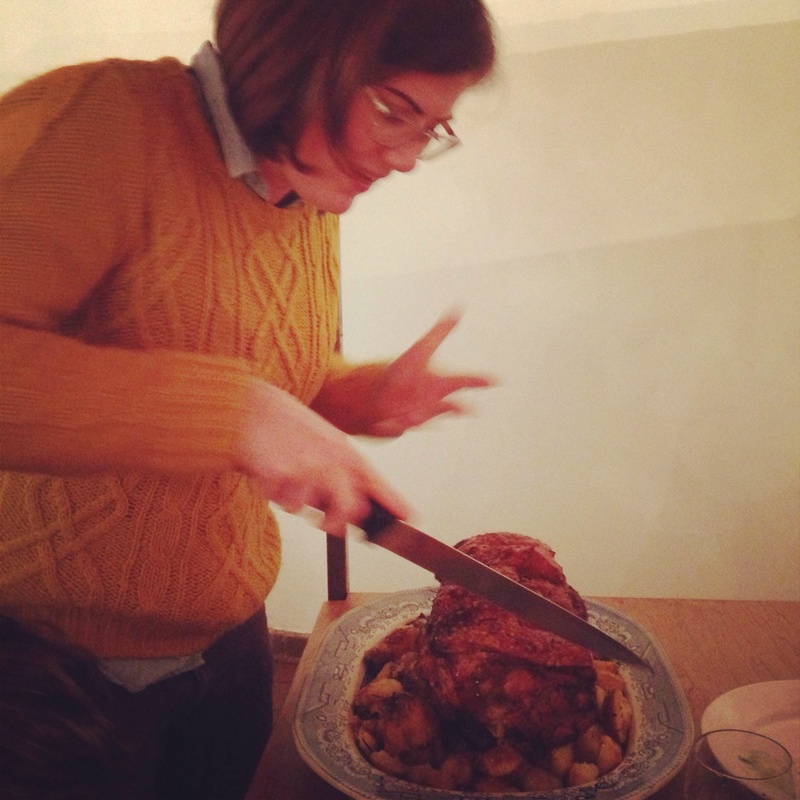 The main event arrived to the table whole on a bed of polenta crusted roast potatoes (yum!) with a kale and chestnut salad. Louise was given the honors of carving. Then we FEASTED. It was deliciously wonderful. We ate until we were stuffed, but happy. It was the perfect amount – no meat sweats this time. Phew. Speaking of Louise, she gets a special shout out as the source of this fun. She got the tickets for summer’s CUTS feast and was totally on top of securing spots for the Winter Feast, too. And by “totally on top”, I mean she pestered the organizers until they gave her a special code for early ticket release. She’s an invaluable friend to have – both because she is genuinely good fun and great banter, but also because she always knows about super cool things like this and is the type to actually buy tickets and proactively organize things. Even better, more often than not, her latest cool activity is centered around food, which is more than okay with me! At the end of the night, while we happily digested our food (including a dessert of white chocolate and rosemary panna cotta with stewed cranberries), Josh Flowers and Squiff Wordsworth from Josh Flowers and the Wild played a short acoustic set. All in all, a delightful winter’s feast on a delightful winter’s eve. If you’re in London, check out Forza Win – you won’t regret it! Does Forza only do these special occasion meals or is it open for business year round? You are definitely a fun foodie and thanks to Louise for organizing the fab evening. Somebody should make fresh butter for Christmas.